This Cream Maxi Dress with Open Back and Embroidered Top is so pretty! Perfect for any special occasion! We love its beautiful embroidered top and open back. 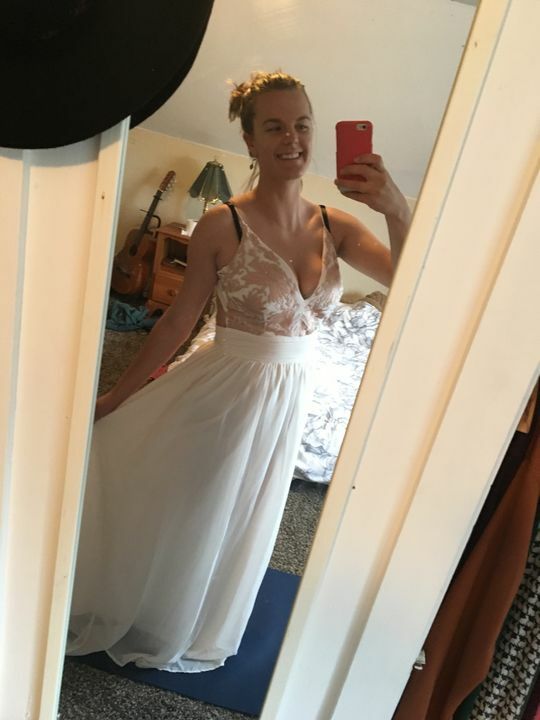 Leah A C. Reviewed by Leah A C.
I wanted a simple but classy dress for my wedding that’s going to be in the peak of summer outside. It’s beautiful. I bought a Large. I’m going to have to buy a backless/strapless bra, but it’s going to be perfect. Bought this for vacation in Jamaica. Beautiful beach dress very light and comfortable.